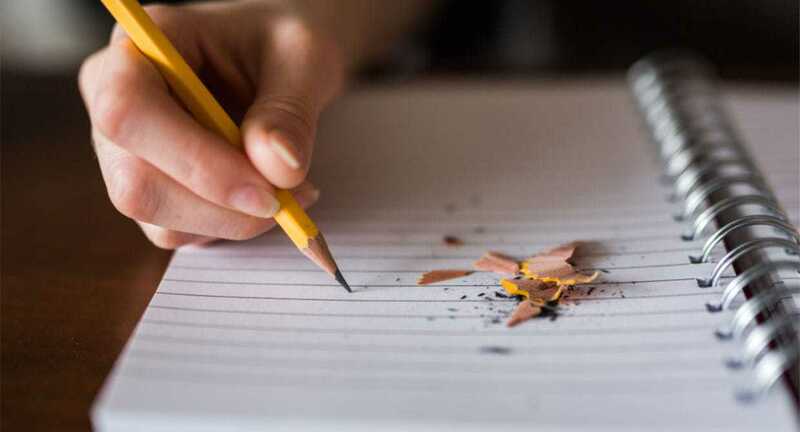 How many of us have been guilty of subscribing to the “red pencil mentality?” You know, when we focus on the homework mistakes rather than on what’s correct? Probably most of us; because it’s human nature. However, focusing on our kids’ mistakes or the wrong answers can be a big source of homework power struggles. Let’s put ourselves in their shoes. What happens when someone points out our mistakes? It makes us feel judged. The same goes for kids. When we focus on what they got wrong, they feel judged and discouraged, which makes the situation ripe for eye rolls and power struggles. To turn the tables, let’s retire the red pencil. 1. Begin homework time by focusing on the effort. Rather than pointing out what’s wrong, notice progress and improvements. Encourage persistence. These strategies will go a long way towards diffusing power struggles and will keep the next homework time from becoming a battleground. 2. Comment first on the correct answers. Your kids will feel encouraged when you point out what they did well. When you do find a mistake, don’t slide into critical mode. Stay encouraging and ask, “What did you learn from this answer that you got right that might help you solve this one?” That not only keeps them from feeling defensive, it also encourages them to think about problems creatively and see them as opportunities to learn. That’s is a great reminder for all of us. Mistakes are part of the learning curve, and part of what helps find innovative, new ways of doing things. Mistakes are something to be celebrated, not red-lined. What do you say we retire the red pencil? I encourage you to adopt a new mindset when it comes to your kids’ homework and test mistakes. Not only will you avoid a power struggle or two, but you’ll also find your kids are more likely to try new things and take risks in their learning. When that happens, you begin to foster a sense of discovery and innovation that will take them so much further in life than any red line ever would. History is filled with stories of mistakes that turn out to be brilliant inventions or positive turns in the road for people. Celebrate them, and your kid for trying their best and persevering! It’s a game-changer! I get it. Homework battles can be frustrating, but try these 3 steps and you’ll be amazed at how encouraged and empowered your children feel. Once you solve the homework issues, don’t be surprised if other issues arise – sibling rivalry, backtalk, defiance – that’s often how it goes with parenting. If you’d like to learn how to get your kids to listen without nagging, reminding or yelling, I’d love for you to join me for a FREE ONLINE CLASS.